Very nice and clean hostel. Breakfast was great. Morning coffee on terrace - priceless. Staff on service, polite. I am very happy with this hostel. Excellent hostel with very friendly staff and affordable prices. Perfect for travellers that wish to stay for several days. 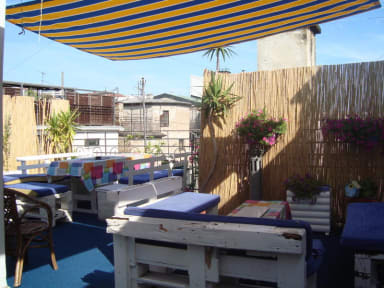 The hostel is in the city center and offers free tours and has a minibar and washing machine. Overall an A+ experience. Had a great time at this hostel and would definitely recommend it. We didn't spend to much time here as the location is so good, we were in walking distance of everything. theres good kitchen facilities and the roof top garden area makes it a great place! 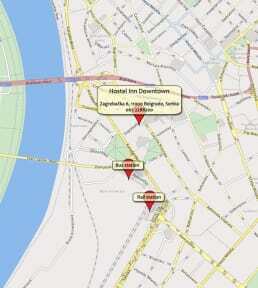 Hostel is perfect located near the Kalemegdan, river, Skadarlija and clubs. Very clean with beautiful terrace. Staff is friendly. Thanks for all. This is one of the reviews where the other guests will draw down the review, there was only middle age, drunk and smelly men on the hostel making a lot of noise but the staff was doing nothing. If there would have been backpackers it could have been really nice but with a small hostel with only large groups of men that seemed to be living there rather than travelling it was actually rather uncomfortable. The location and price were really good however. Bed bugs, bad smell in the room and showers and tiny room. With a bit more thought and effort the place could be much better. The hostel is a converted 6th floor apartment but still feels more like a crowded apartment than hostel. The stairwell to the hostel is poorly marked and lit (when the lights manage to stay on), there is 1 real shower, and bedrooms do not have locks. The hostel still functions and I would call it an "economy hostel" were the price actually reasonably cheaper than other places around. Left early; bad showering equipment and uncomfortable atmosphere. Also have to pay for wifi. Not a bad place to lay your head, but not much else, either.